I am considering upgrades to support my new CenturyLink Gigabit Fiber service, which I understand in my area is still using PPPoE. I would ideally like to bypass using the CenturyLink provided router and use a pfSense box directly, but I want to make sure that if I am going to spec something out, it will work. This has the same processor but uses a daughterboard to add 4x Intel 82574L ports. I am having a hard time deciding if JUST the switch from the igb to em driver will be 'enough' or if this processor will not suffice for PPPoE gigabit regardless of driver. Anyone know if this will suffice for PPPoE 900Mbit+ Wan-to-LAN? 1. Is it true that a fast enough single-core performance can overcome the igb limitation? 2. Does the em driver truly not have this issue? 3. Can an em driver card achieve 900Mbit+ while using a low-power processor like a bay-trail celeron or atom device? Or will a desktop class proc still be necessary? Consider a dual port 82571 NIC instead, this also uses the em driver. Most likely cheaper, saves a slot and slightly better 'server' chipset, 82574L is a 'desktop' part. Very common on fleabay for <$20 found in parts such as Intel Pro 1000, EXPi9402PT, HP NC360T, Dell X3939, etc. They also come in quad versions if you want more than WAN+LAN. pfSense is actual only using one CPU core at the WAN interface on using the PPPoE, thats it. interface and plus the overhead and processing NAT and firewall rules it is nearly 1 GBit/s in total. are working together likes the CPU, the RAM speed and the NIC plus the driver support of the NICs. If I had to guess, you're being limited also by your speed more than anything else. RAM and good driver supported Intel NICs as LAN Ports will be the best bet at this time in my eyes. Thanks for the recommendation. In that particular napkin example the micro-ATX mobo only had 2 1x PCI-E slots, but if I end up having support for it I will definitely look into a multi-port server card as you suggested. For this build I am really only looking for basic router functionality (at least initially). I'm coming from embedded consumer routers (ASUS line) running Tomato firmware so pfSense opens up a lot more possibilities for sure. Initially I am simply trying to get basic NAT, firewall, and WAN PPPoE auth on the pfSense box that supports my new speed. When you say "good driver" are you referring to the igb, which appears to be the more modern driver for modern Intel NICs? This appears to have a quad NIC using the igb driver. In your opinion, would a system with a decent amount of RAM based on this board be able to get maximum speed (e.g. 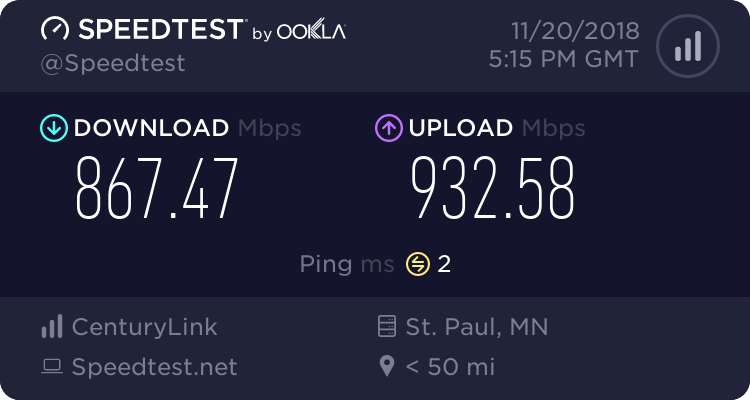 equivalent speed of the CenturyLink provided router for gigabit PPPoE over fiber), considering the PPPoE limitation and basic usage I described above, while still having potential for growth? the overhead and the NAT or firewall rule work to count on. em driver at the WAN port will be better running pending on the better driver support nothing more or less. But if the CPU is not strong enough it is not really interesting what kind of driver is loaded or NIC is in usage. pretty good, an SG-4860 is able to archive ~500+ MBit/s of IPSec throughput as an example. pfSense is a software firewall and not a router only software likes OpenWRT, DD-WRT or RouterOS! power to archive 1 GBit/s at the WAN interface with a firewall then using Linux based router only software! they are working on this, but I can´t tell you numbers and dates when this would be solved and is away. not really, this is pending on your personal configuration and not on the century link fiber line. and go with a Intel Celeron G3260t @3,2GHz and 4 GB or 8 GB of RAM likes your packet installs and use case! 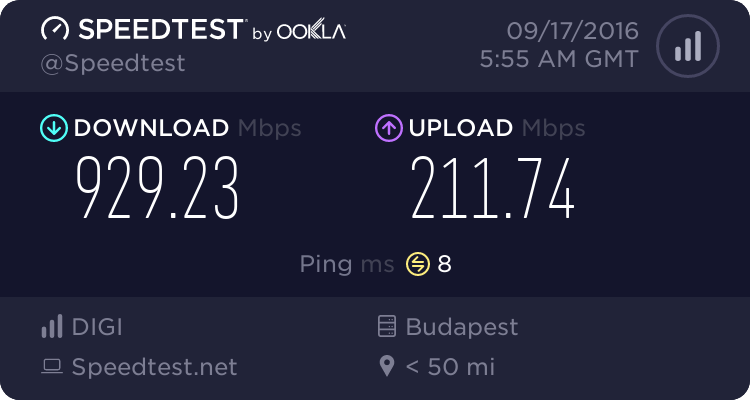 around or nearly ~920 MBit/s - ~936 MBit/s + overhead + NAT & firewall rules on top that is also 1 GBit/s. smaller router and a Linux based router software if you only need SPI & NAT. So I threw in this em0-based card just to avoid igb driver with PPPoE combination. It's an 82574L-based one. The onboard igb nics are I354-based. Just an FYI, I have the same supermicro a1sri-2758f board with centurylink gigabit fiber and PPPoE. I only get about 650-700mbit/s down with igb. I saw this post and picked up an intel 82574L (Intel EXPI9301CT) adapter and a mini-itx case capable of fitting an external card. 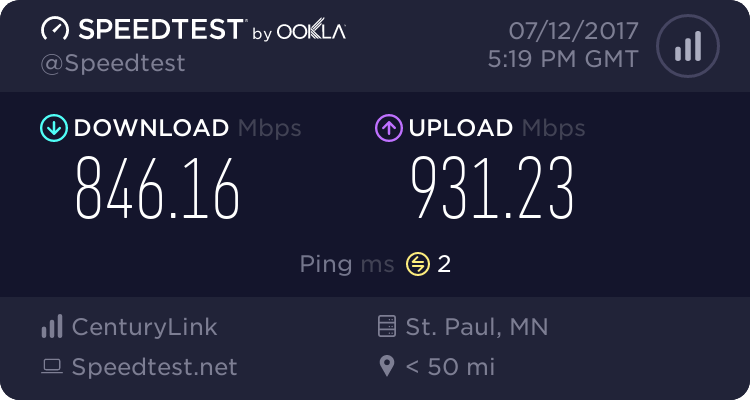 I know with the crappy centurylink router they provided I was able to get around 915 when I first tested over a year ago so not sure if the limit is still the CPU bottlenecking or if it's something else. 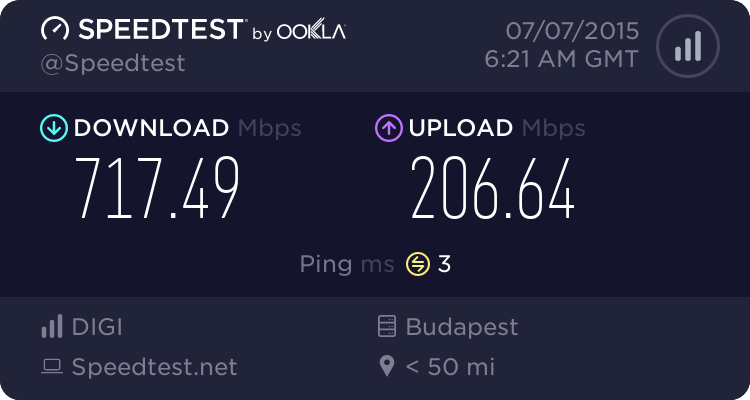 That said, ~850mbit is pretty decent still. Honestly, an avoton is the wrong CPU if you're trying to do gigabit pppoe–you'd be better off with a higher clocked i3 or pentium. Your cheap ISP router probably did pppoe in hardware, so it's an apples-to-oranges comparison. But still, I'm impressed at the difference between em and igb. It looks like by default, em doesn't use queues at all, which makes me wonder why it's so much faster. rss queues don't work with pppoe because the nic can't find the unique IPs inside of the pppoe packets. so they all get dumped in the first queue anyway. it used to be that the problem was compounded because since the packets came through a mechanism which supposedly hashed them, they had a flowid associated and wouldn't get rehashed and redistributed once they were decapsulated (whereas stuff coming in on a card without rss gets a new flow ids assigned). I think that's still the case, which is why igb (or any multiqueue card) is worse than a single queue card. Aah I thought it might be the overhead of the hashing in an attempt to queue it. That makes sense. Thanks. Can someone test this possible solution suggested? Try some gigabit tests, like dslreports or whatever. Check for your speeds and report it here, please. @w0w That did it for me. What did it do? Got you up to Gigabit line rate over PPPoE? I see very little difference with the net.isr.dispatch change. Ever since the spectre/meltdown bios update I'm barely cracking 650 with my c2758. Anyone know if denverton is more capable for pppoe or do I really need to go into core series CPU? Looking at the benchmarks it doesn't look like denverton is any faster than avaton. More power efficient but that's it. So denverton likely won't fare much better. Did you restart firewall after change applied? Do you have the same result on your em card? Oh duh!! I didn't switch back to the on igb NIC after making the change. I'll try that when I get a chance. But at least it looks you have some performance drop on em card also after some changes? Is it spectre/meltdown patch? Yeah, the spectre/meltdown update coincided with a pretty big drop in performance with the em driver. Did a few more tests. So net.isr.dispatch in both cases made a difference, but still shy of the 920 or so I should be pulling. You can disable the Kernel PTI workaround for Meltdown in System > Advanced > Misc. You almost certainly don't need it anyway unless you are running virtual. That's not correct. You need to mitigate meltdown unless you are 100% confident that there is no need for privilege separation on a system. (E.g., if you have no reason to run a web service as something other than root, or run pre-auth ssh code as an unprivileged user, etc.) If you use privilege separation as a mitigation for other vulnerabilities (e.g., bug in web script, bug in ssh, etc.) then you need meltdown mitigation in order for the privilege separation to actually be meaningful. Other speculative execution bugs like L1TF-VMM (CVE-2018-3646) are specific to virtual machines. @vamike that would only really apply if there's any ability to execute malicious code within the privilege separated processes right? If the router is locked down so only trusted individuals can to access it and there are no available vulnerablities (big IF I know) there's should be no way someone can take advantage of the vulnerablities. I know there was some grumblings of a remote spectre like exposure but I don't know if that applies to routers. Sure. Like any other mitigation, it's a risk based decision. OTOH, if you can be sure that you can lock things down and never have a vulnerability, why are you running a firewall at all? Mmm, interesting. Some stuff I had not considered there. Anyway you can test it and see if it improves performance by any useful amount. If not leave it enabled. I'd expect the spectre mitigations to be more costly than meltdown, and arguably less relevant. @vamike looking at the processes running on my router, unbound and dhcpd are the only two things not running as root. So given that it seems that avoiding meltdown/spectre on a native bare-metal install is fine. Anything that can take advantage of meltdown or spectre would likely simply take advantage of being root. Thanks, that did it for me, allowing me to almost double my Rx on my realtek Nics on my Zotac box.. So glad, getting ~ 750/750 now.. which is good enough for now. If you read back a few posts you'll see some of my experiences. I actually had to disable the meltdown fixes as well to get back to close to what I was getting before.